Two brothers bought tactical first aid kits [IFAKs], a few civilians volunteered to teach others how to use them and other civilians will transport them to the final destination. Everything is extremely simple. The Klitschko brothers with their own money bought 2,000 great individual medical kits: hemostatic agent [blood clotter], tactical tourniquet, plaster for treatment of thoracic wounds, scissors and thermal blanket. Oleg Homenko organized the participation of the instructors of tactical medicine; they will train each soldier who receives this medical kit. And I will organize the logistics of distribution and delivery to the front in order to equip military and police units. Does the story seem more monumental this way? 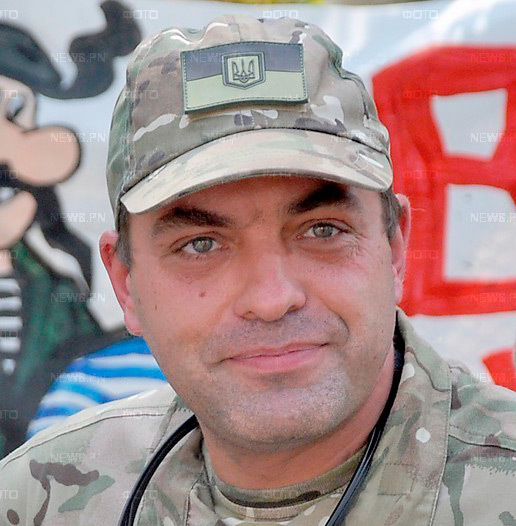 This entry was posted in English, English News, Eyewitness stories, Pictures, South&Eastern Ukraine, War in Donbas and tagged #RussiaInvadedUkraine, Iurii Biriukov, Klitschko, Ukraine, Wings Phoenix. Bookmark the permalink.